For some time now we’ve been receiving complaints about vehicles speeding in Pooles Lane, Lichfield Rd, Essington Rd and Coltham Rd to name but a few. We’re sure there are other roads out there across New Invention and Short Heath where residents think vehicles are going too fast but haven’t complained. With the council doing everything it can do to in terms of speed restrictions (given the government’s budget cuts) and the police just not being there enough to observe what’s going on, we’ve been making inquiries into the ‘Community Speedwatch’ scheme that you may have heard about. It requires six to eight residents who are willing and able to use speed measuring equipment. Could that be you? If so, please let me know. 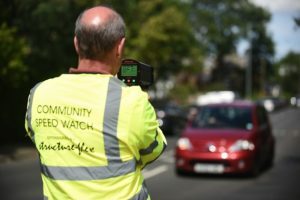 If we do get the right number of willing volunteers, we’ll get in touch with the right people to get Speedwatch set up in New Invention and Short Heath.